9 digit check routing number 021214189 belongs to Bank of New Jersey (Main Office). 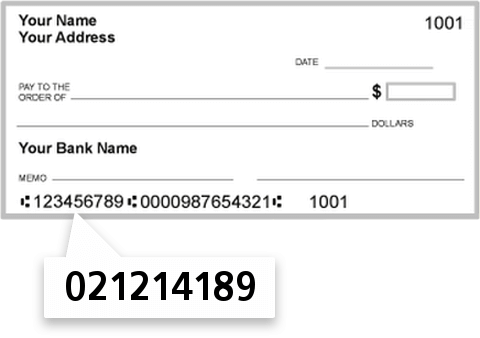 You can find routing number next to account number on a check. Please dial (201) 944-7200 or go to 204 MAIN ST in FORT LEE, NJ if you're having any problems with your wire transfer.